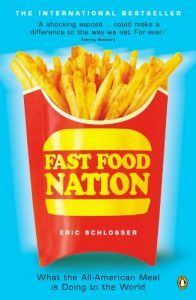 Fast Food Nation by Eric Schloss provides great insight on the methods -and ills- of fast food chains. Erich Schlosser in Fast Food Nation says that fast foods have conquered the world. That’s hard to refute indeed. But the question is: how bad is it, actually? McDonald has been a revolution in the food industry. Not necessarily a positive one, but a big revolution nonetheless. McDonald brought the factory assembly line, reminiscent of Taylor‘s days, to food product. Each employee has a single and easy to learn to task -for example dressing salads or flipping burgers-. It reduces costs, optimizes speed and makes every employee easily replaceable. McDonald also served reliable food at fast speed. It was easy and simple… And it was cheap. The so called “Speedee Service System” was incredibly successful. Between 1960 and 1973 McDonald ballooned from 250 to 3.000 restaurants. Children are perfect targets for fast food chain. They have a strong power in getting their parents to spend fro them and are much more easily swayed by commercials. McDonald attracts children with playground and Happy Meals. Giving out a toy with a meal can double or triple the sale of the meal, a study showed. Fast food have been tremendously successful in attracting children: 90% of American children between 3 and 9 years visit McDonald every single month. Beginning from the end of the nineties fast food has penetrated into American schools. Many schools indeed, with little public funding, can only finance themselves through contracts with private companies. And the most interested companies? Soda pops and fast food chains. 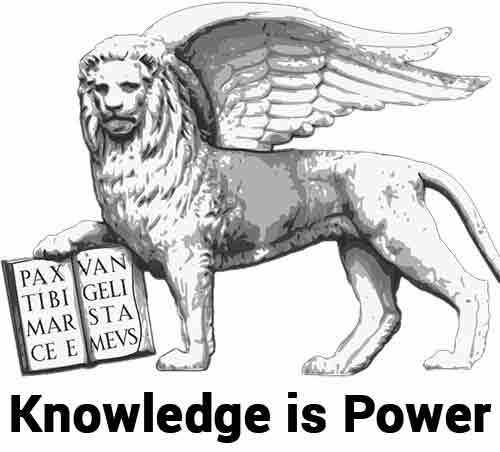 Many schools even use school materials that is sponsored by a private corporation. In one instance a study funded by the American Coal Foudation stated that the greenhouse effect is beneficial to the planet. Fast foo work is not an easy one. and Since assembly chains are designed to be easy, fast food employees are easy to replace. On average a fast food employee quits or is fired every three to four months (and here’s the catch: companies only give paid holidays and pay health insurance to employees who’ve been there at least half a year). Eric Schlosser says fast food chains employ the weaker slice of the population on purpose as they are less likely to complain and less likely to insist (and to know) their employee rights. Two-thirds of the U.S. fast food employees indeed are under twenty. Fast food chain are fiercely anti-union and battle hard to keep their employees from unionizing and bandying together. The proof? Not a single fast food worker in the whole North America is represented by a union. The terrible employment conditions go down all the value chain that provides fast food with their meat. How can a burger cost only one dollar? The meatpackers are not well paid and working in great conditions of course. The cattle is not going to be fed prime food naturally. And again, we see the same trends here as in-store workers. Probably worst as meatpackers are even more hidden. For example, 25% of all meatpacking workers in Nebraska and Iowa are illegal immigrants. Somebody said that you are not what you eat, but you are what your food eats (I believe it was in The Plant Paradox). In the past cattle food included dead dogs and cats from animal shelter. Today it’s forbidden, but it’s not that much better. Eric says cattle still eats dead horses, pigs and even poultry feces. Remember that cattle is supposed to eat grass. Indeed cattle can easily catch dangerous parasites and bacteria with such foul food. The author makes the point that the franchise model mostly benefit the corporation and not the opener of the franchise. 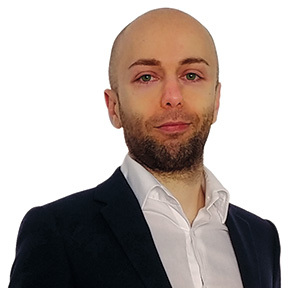 It seems like a shared risk, but the truth is that franchisees commit a big capital to start and are then forced to follow strict corporate rules (without being covered by employee protection law). The author says that when studies take into account failed franchises, then they are more likely to go bankrupt than regular non-franchise restaurants. Fast food are all about engineering the best taste they can provide (also read Salt Sugar Fat). And that often means that what we eat has no real relation to real food. The strawberry yogurt like had no single strawberry that went in it. McDonald fries contain “animal product” and chicken sandwich from Wendy contain beef extract. All produced in chemistry labs. We all know that fast food is unhealthy. But Fast Food Nation takes that notion to a whole new level. Eric mentions the Eescherichia. coli 0157:H7 a bacteria that can release deadly toxin causing stomach cramps, bloody diarrhea and even death. Beef can develop E. coli by coming into contact with cattle feces, and that’s not as unlikely to happen as you might think: around 200,000 people in the U.S. get sick from food poisoning every day. Food engineered to provide little nutritional value but lots of great taste with highly unhealthy ingredients is inherently bad for our health. The author says that the adoption of fast food culture has increase the rates of obesity wherever it was adopted. For example between 1973 and 1993 the number of fast food restaurants doubled in Great Britain. And, in that same time period, the adult obesity rate doubled as well. The author implies it isn’t. Yet, not that simple. Until the recent past I used to go to KFC thinking “chicken is chicken, can’t be that bad”. Because you are not just what you eat, you are also what your dish ate. And that’s usually shyte in fast food chains. Fast Food Nation always point the finger at the corporation. For example, it says that employees at slaughterhouses use methamphetamine to keep up. Well, what if they use methamphetamine because they’re drug addicts? Eric says that in the past food poisoning was more localized -ie. : a family on a picnic-. But today’s mass production of food brings a mistake to hundred of thousand to people (200.000 food poisoning a day in the US). Nice number to impress, but it’s marketing in my opinion. A good scientist should have checked how many food poisoning cases there were before the mass production, then calculated the different size of population and then compared. I found a few instances where the author seems to jump to conclusions in the presence of correlation. But correlation is not causation (also read Fooled by Randomness). Most people know fast food are not bad. But Fast Food Nation really explains why and will likely teach a lot of new things even to those who take care of their food. In case you needed any more reason, Fast Food Nation provides the last nail in the coffin to ever thinking of eating fast food again. Fast Food Nation feels biased against fast food chains. But so am I, to be honest.